My de-cluttering / clearing week has progressed pretty slowly due to my arm still not being fully functional. So I have just had to make the most of what I could do and also make some lists of what I can do when I get my arm working properly again. 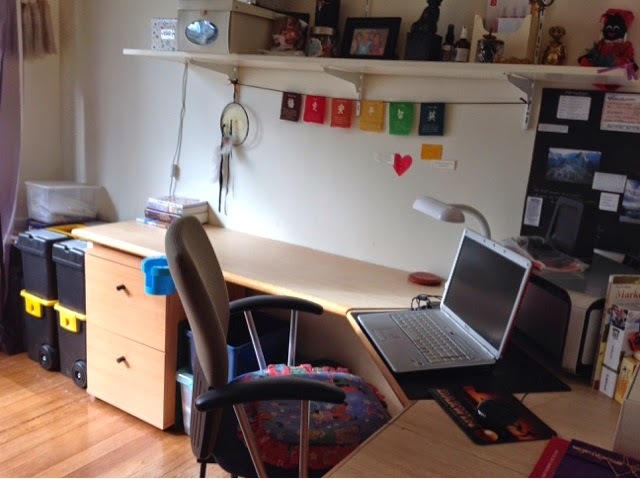 ﻿﻿﻿﻿﻿﻿But the one area I did tackle and thankfully completed was the clearing out and cleaning of my craft room. 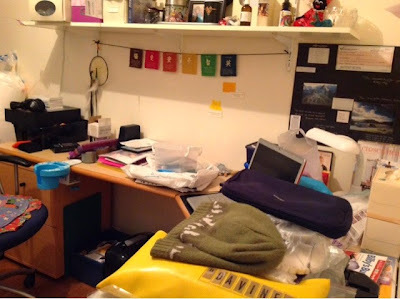 Since arriving home my craft room has pretty much been used as a bit of a dumping room. So if I ever want to start getting back working on my jewellery I just had to get it cleared out. There's nothing worse than trying to find your creativity in a bomb site. So I decided to start at one corner and just work my way through the room. I made the deal with myself that everything I picked up had to find a home where it belonged. Be it, in its home, in the donation box or in the bin. This is by farther hardest room for me to tackle. I think my craft supplies are my nemesis. I start and get totally overwhelmed of just where everything should go. I find lots of half made things that I know I should finish and lots of new things I want to start. Mmmmm I think this dumping ground needs to be cleared!! Finally, after two days I had the room I want to work in. My desk is lovely and clear and everything is in it's home. Now once my arm starts behaving itself I can get into some designing. How did your week of de-cluttering and clearing go? I'd love to hear about your progress no matter how small or large.